Dam: Am/Can Ch. Fwaggles U Wanna Dance? First show out in 2001 Salsa grabs a Group 2nd under Mr. Don Wallace in tough competition! 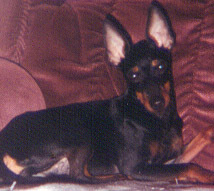 (02/10/01) Second shows of 2001 see Salsa taking a Group 4th under Mr. J. Glendinning and Group 2nd under Mr. E. Bajona! 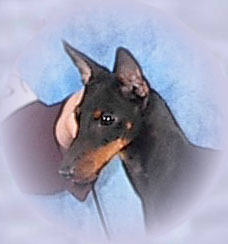 Salsa is pictured above taking Best of Variety from the classes (over Specials) at the Delaware Water Gap shows in Pennsylvania. 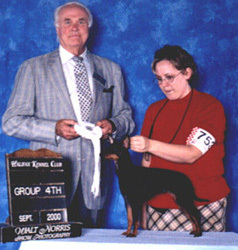 Salsa is pictured above with co-owner Amanda Kelly taking a Group 4th under noted Toy judge Mr. R. William Taylor. 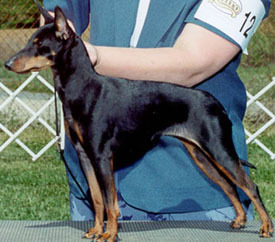 Salsa achieved this win by taking Best of Breed over Specials from the puppy class! 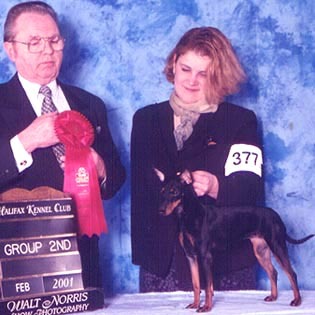 Salsa is pictured above with co-owner Tina Sandford taking a Group 2nd under Mr. Donald Wallace (02/13/01)!